Ah Furphy. It’s the beer Victorians have fallen in love with – and it’s not hard to see why. Born right here in Geelong and brewed from 100 per cent Victorian hops and malts, Furphy is the sixth biggest beer in Victoria (by volume in pack), and has grown 100 per cent in the last year alone… clearly it’s damn good beer! Stepping it up late last year, the team at Little Creatures Brewery Geelong decided to further back their star product and dedicate an entire event space to it with The Furphy Hall which is designed to play host to comedy shows, live music, movies, markets and a variety of community events – rain, hail or shine! Nearly $80 million was invested in the development and growth of the old Valley Mills site since Little Creatures took it over in 2013, and this new space is the first part of a third stage of investment, worth an additional $1 million over the next three years. Now the time has come for The Furphy Hall to shine with their upcoming events for this month, starting with their live and intimate series every Thursday. 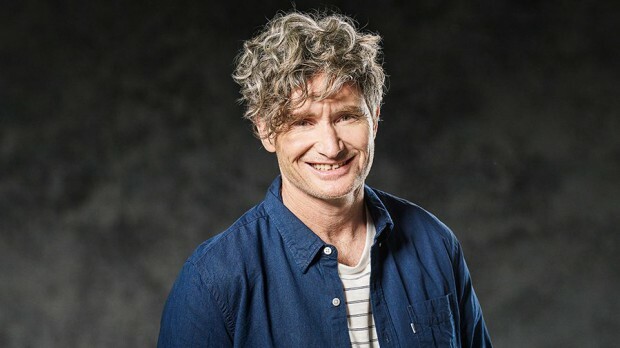 Thursday March 14 sees comedy sensation Dave “Hughesy” Hughes grace the Furphy Hall stage with his trade-mark style of comedy. Currently on tour with his show “Hairy”, Hughesy will have you in stitches from beginning to end. Support for the evening will come from Brad Oakes, one of the most versatile live acts of the Melbourne comedy circuit. Next up, March 21 sees Ella Hooper (duo) live on stage. Cutting her teeth at the tender age of 13, Ella Hooper is a four time ARIA winner for her work with Killing Heidi. Since 2006, her solo performances have been gaining critical acclaim. With a new album rumoured to be released this year, we are excited to hear whether Ella will be teasing out some new material at her Furphy Hall event. Either way, this show is not to be missed! Rounding out March, The Badloves will stop by for a couple of pints and a performance on March 28. The ARIA award winning outfit are currently back on the touring circuit and heading to the Furphy Hall for an up-close and personal performance. Relive the stand-out hits, “Lost”, “Green Limousine” and “Memphis” as well as covers in their trade-mark sound. Defining ‘cool’ and oozing swag, The Badloves are a not to be missed performance. And with strictly limited tickets sold, this show will be just for you. It’s all happening at the Furphy Hall this month! Get on down and sit back with an ice-cold Furphy. The Furphy Hall is located at Little Creatures Brewing Village (221 Swanston Street, Geelong South).